who are left without parental care and protection. that causes them to neglect hapless young beings. הֱיֵה־נָה עִם אַנְשֵׁי הַחֶבְרָה לִמְנִיעַת אַכְזָרִיוּת לִילָדִים. to all young people in distress. 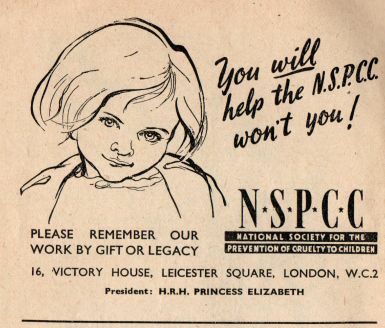 the founders of the National Society for the Prevention of Cruelty to Children. guide them to every place where their labours are needed. with heart, devotion and zeal, carry on the beneficent work. סדר תודה ותפלה למלאת שבעים שנה לחברה למניעת אכזריות לילדים להאמר בבית הכנסת ביום ש״ק פ׳ בחקתי שנת תש״ד לפ״ק | “Prayer of Thanksgiving on the Occasion of the 70th Anniversary of the National Society for the Prevention of Cruelty to Children, to Be Recited on Sabbath 22nd May 1954 / 19th Iyyar 5714 after the Prayer of the Queen and the Royal Family (London: 1954, Office of the Chief Rabbi)”. H/T Fred MacDowell. “תפילת תפילת הודיה לחברה למניעת אכזריות לילדים | Prayer of Thanksgiving for the National Society for the Prevention of Cruelty to Children (1954)” is shared by Aharon N. Varady (transcription) with a Creative Commons Public Domain Dedication 1.0 Universal license. The Office of the Chief Rabbi is the Chief Rabbi of the United Hebrew Congregations of Great Britain and the Commonwealth and is the senior rabbi of the United Hebrew Congregations. 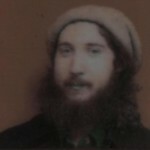 The present incumbent is Ephraim Mirvis who leads the Office of the Chief Rabbi (OCR). Please reciprocate for any adaptation or redistribution of this work by (1) properly attributing the work to Aharon N. Varady (transcription) and Office of the Chief Rabbi of the United Hebrew Congregations of Great Britain and the Commonwealth, (2) clearly indicating the date you accessed the resource and whether any changes have been made (and if so, please be in touch with us and leave a comment below so that we might note your adaptation or improvement), (3) providing a link back to this source, and (4) specifying the Public Domain (17 U.S. Code §105 - Subject matter of copyright: United States Government works) under which this work was shared.